Chizorom Ebisike is a physician who has worked in both clinical research and medical writing since 2009. She has published articles on the respiratory system and nutrition. She has earned a Doctor of Medicine from University of Medicine and a Bachelor of Arts in nutritional sciences from Rutgers University. Generally, potassium imbalance is not associated with disturbances in vitamin D metabolism, but when both are present, they can compromise effective circulation of blood. According to the book "Health Issues in the Black Community," the high frequency of vitamin D deficiency coupled with low potassium may explain the high prevalence of hypertension, or high blood pressure, in the black population. Hypokalemia, or low blood potassium, is defined as a blood potassium level below 3.5 milliequivalents per liter, or mEq/L, of blood. When potassium is low, potassium-dependent organs become dysfunctional. Potassium must be tightly regulated to prevent dysfunction of these organs. There are several causes of hypokalemia, but the most likely causes include reduced dietary potassium intake and increased urinary potassium excretion. The regulation of blood potassium depends on the degree of dietary potassium intake and the rate of urinary potassium excretion. When the rate of intake exceeds the rate of excretion -- and vice versa -- potassium imbalance results. However, in a healthy person, potassium imbalance does not necessarily occur as a result of an existing condition favoring either a net accumulation or net loss of potassium. This is because the body can compensate, preventing the electrolyte imbalance. In the body, the adrenal glands are primarily involved in the regulation of potassium. They can sense changes in blood potassium levels and respond when necessary by releasing aldosterone, a steroid hormone that increases potassium excretion in the kidneys. When vitamin D is ingested, it must be activated before it can be useful to the body. Vitamin D is not only obtained from dietary sources but also from synthesis in the skin under direct sunlight. Vitamin D activation is a two-step process, involving the liver in the first step and the kidneys in the second step. Since the kidneys have a major role in vitamin D activation and regulation of potassium excretion, kidney dysfunction is likely to interfere with these processes. The association between vitamin D and hypertension has been studied extensively. According to the book "Power of Vitamin D," the prevalence of vitamin D deficiency increases as a person lives farther from the equator. This observation has been directly correlated with prevalence of hypertension. Also, when vitamin D was supplemented at 800 international units, or IUs, per day for six weeks, it resulted in a 9 percent decrease in blood pressure. 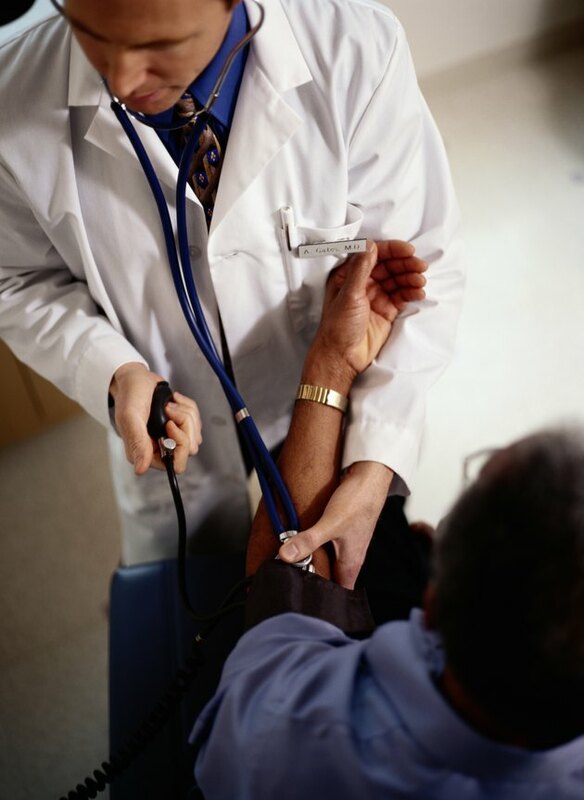 When hypokalemia occurs with hypertension, it results in treatment-resistant hypertension. According to "Mayo Clinic Internal Medicine Review," the presence of hypokalemia in treatment-resistant hypertension is often due to primary hyperaldosteronism, uncontrolled release of excess aldosterone from the adrenal glands. What Are the Benefits of Potassium Citrate? Can Regular Vigorous Exercise Lead to High Potassium Levels?